The books of my youth were full of trains, too: not just Thomas the Tank Engine – though who can forget Jeremiah Jobling’s leather boot laces? – but The Railway Children, the train accident that takes the Pevensie children back to Narnia for The Last Battle, and Maria Merryweather’s journey to Moonacre in The Little White Horse. When a hansom cab wouldn’t do, Sherlock Holmes was forever boarding a train – after Watson had consulted Bradshaw, of course – and Agatha Christie had The Mystery of the Blue Train, 4:50 from Paddington and The ABC Murders. There’s comfort, then, for me, in trains and taxis – a feeling of familiarity and the security of family – and perhaps those long sleeper-train journeys, taken when I was scarcely old enough to know what was happening, explain why, even now, if time were no object and I were offered the option of travelling in a shared wagon-lit or by plane, I’d opt for the former. And no doubt it is this sense of comfort and familiarity that made my heart leap with delight when I happened upon steam locomotive No. 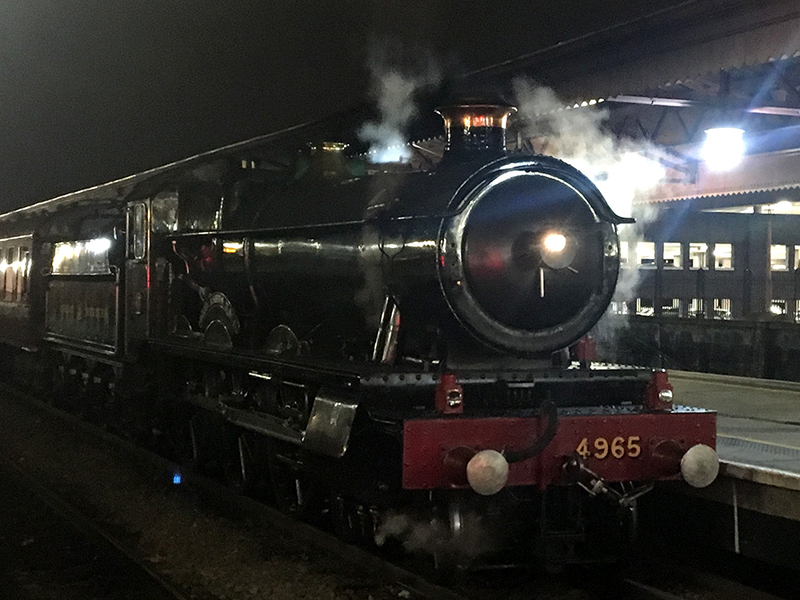 4965 Rood Ashton Hall waiting patiently at Moor Street Station last night. Moor Street itself is a small joy, just moments away from New Street but beautifully restored and refurbished in 1930’s style. The lattes and panini sold at the cafés are too modern for my taste, but the fact that you can sit at a little table on the concourse and watch the world go by is one of those time-from-the-world pleasures that train travel affords. 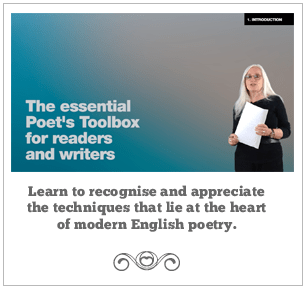 Trains pass to and fro through my poems, although, perhaps surprisingly, I don’t seem to find them playing a leading role anywhere. In this piece, it was the lack of train that gave me time to pause and start writing. whose trunks are evergreened by ivy.